Intel's low-power Quark SoC X1000 processor is aimed at Internet of Things products such as gateways and sensors as well as wearable devices. The Internet of Things is billed as an almost magical realm of possibilities where everything from thermostats to cars will be online. Industrial applications are a key proving ground. Combined with big data analytics, plants full of smart things could generate billions of U.S. dollars in cost savings. But manufacturers will have to see convincing evidence that IoT will benefit them before they sign on to the concept, according to Intel, which makes chips for IoT gateways. "We'll have to provide proof points for a period of time to demonstrate the value and effectiveness of the capabilities," Intel Asia-Pacific sales director Philip Cronin said in an interview Tuesday in Tokyo. Cronin was referring to a collaborative pilot project using IoT technology in which Intel generated US$9 million in cost savings at its plant in Penang, Malaysia. CPU tester modules in a semiconductor manufacturing line at the plant were retrofitted with sensors. They then sent data to Mitsubishi Electric C Controller gateway devices powered by Intel Atom chips. After some filtering, the data were then processed using software from Revolution Analytics. 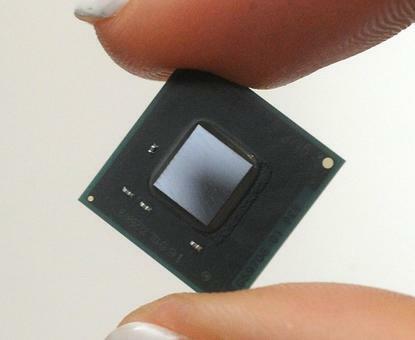 Putting the data results into practice resulted in a reduction in component failures, increased equipment uptime and productivity, according to Intel. Mitsubishi Electric said the approach can also reduce energy costs at manufacturing facilities. "This is a whole new environment for a lot of people," Cronin said. "There's no better place to talk about it than the fact that we did it for ourselves." Industrial IoT applications could begin in areas such as heating, ventilation and air conditioning (HVAC) services. Equipping commercial air conditioners with low-cost sensors and communications capability, for instance, would produce an enormous volume of data that could predict when units will need service. "We think predictive maintenance will be one of the bigger plays because it lends itself to IoT easily," Cronin said. "If I have a thousand machines at a motor car plant and I can figure out which ones are running too far, too high, too soon then I start to get into predictive maintenance and the resultant savings." Intel is promoting its Quark processors, which are small, low-power chips, for next-generation IoT gateway devices as well as sensors and wearable devices. The chips could also be used in applications such as car headlights that can adjust to weather conditions for improved visibility. While the chips can run standard x86 code, the spread of IoT will require progress in developing other standards and best practices for everyone to use. Intel is collaborating with the Open Interconnect Consortium and the Industrial Internet Consortium, two groups that are working to realize a future of billions of smart devices and components that can communicate over networks. Developing standards and practices will take time, but the consortiums have already gathered dozens of member companies across a range of industries. "We're trying to make this as open as possible, because if it becomes proprietary and vertical, it won't proliferate," Cronin said.